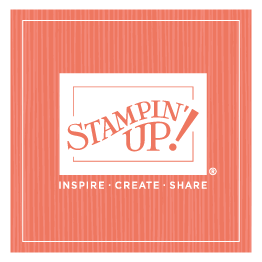 As you know, Mom isn’t around this week; she’s participating in Stampin’ Up!’s Australia/New Zealand Convention in the Land Down Under. So I get the chance to be a guest blogger! And I (Sara) get to blog about something I’m very excited about—my stamp space! Most of you are probably familiar with Mom’s stamp studio—it’s been featured in a couple of different magazines in the past—and it’s a gorgeous room, perfect for spending hours relaxing, creating, and making wonderful memories. I love working with my mom in her stamp studio. But I also enjoy working in my own creative space. While it’s not quite as stunning as Mom’s, it’s more me, and I LOVE it! Recently both Mom and I were invited to be part of Creating Keepsakes’ newest special issue, Creative Spaces. This special issue of the scrapbooking world’s best-known magazine spotlights the creative spaces for some amazing crafters, many whose names you may recognize. As I looked through the pages, there were inspiring creative space ideas for all sizes of areas, as well as fun storage suggestions, great decorating tips, and lots of other interesting tidbits. Both Mom and I were honored to be invited to participate—and motivated to take some action. Sean and I moved back to Utah almost two years ago, and while the rest of our house is unpacked, I still hadn’t finished the stamp room when I received the call. The photo shoot was the perfect excuse to get MY room decorated! And, although Mom’s stamp studio is done, we all know that our creative spaces aren’t always in a state that we’d like others to see. In fact, well-visited creative spaces are usually plenty cluttered! So Mom’s photo shoot was the perfect excuse to get things straightened up. I also enjoyed working with Megan Hoeppner, the creative editor, and the other amazing members of the Creating Keepsakes team. Here’s a sneak peek of our spaces (a close-up from photos shown in the magazine), just enough to make you curious. (Nick Bayless shot my room; Symoni Johnson shot Mom's.) You’ll definitely want to check out the entire issue, and Megan has graciously offered So Shelli blog readers a “free-shipping” deal. (Thanks, Megan!) You can find out more here. Be sure to use the coupon code “SPACESBB” for your free shipping; the coupon expires May 27.